Hey there loves! 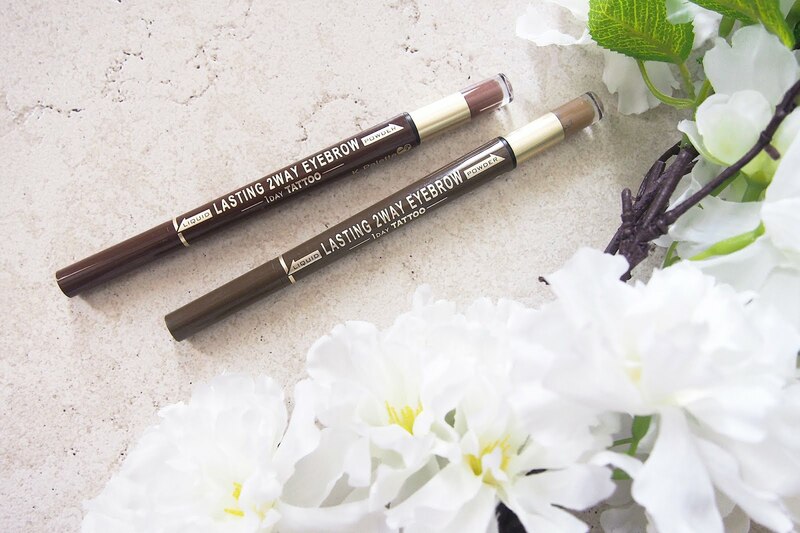 I'm sure you've heard about this eyebrow product from KPalette, the Lasting 2-Way Eyebrow. 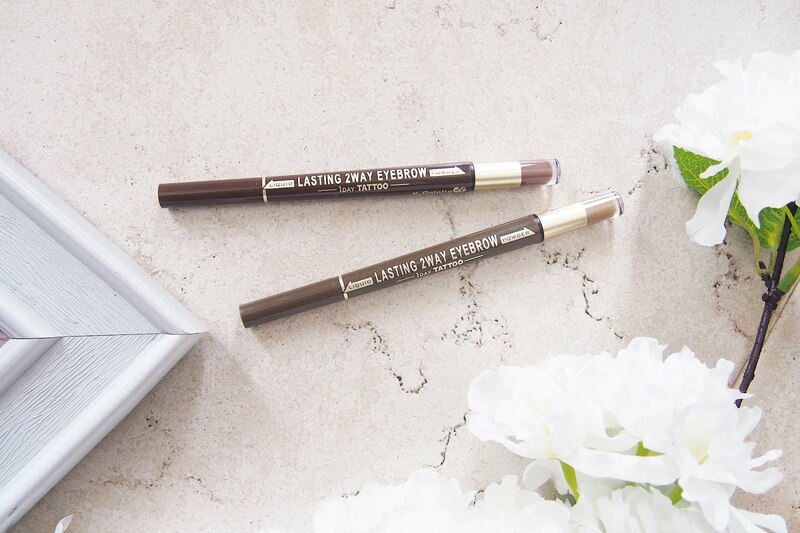 These were praised and raved by several beauty bloggers and makeup junkies. Got me wanting to try it as well. I've been using this fantastic eyebrow shader for the past couple months. 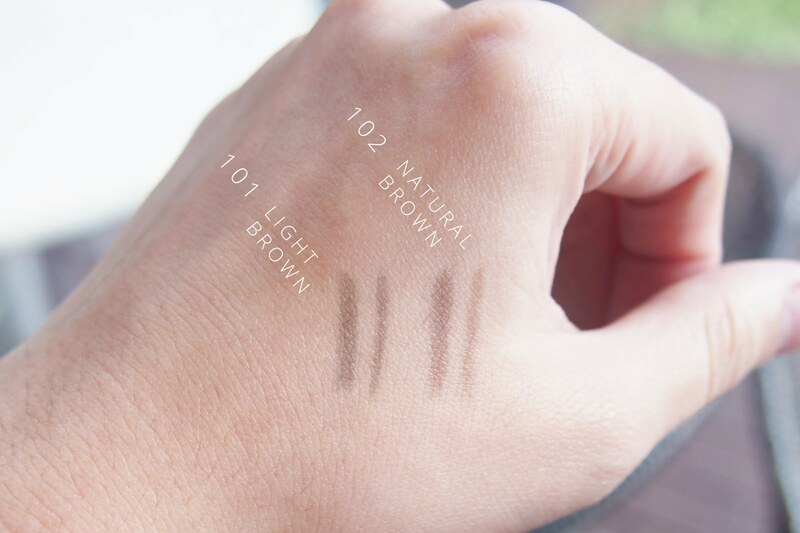 I've got two shades of three 101 light brown & 102 natural brown. I think the other shade - 103 is grayish brown. 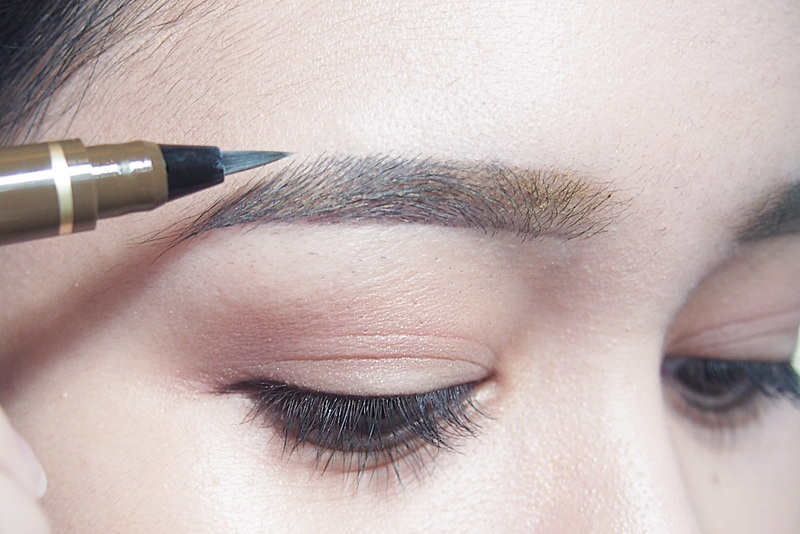 The pointed liquid brush tip makes it easy to draw natural looking hairs in some gaps and bald areas of the brow. 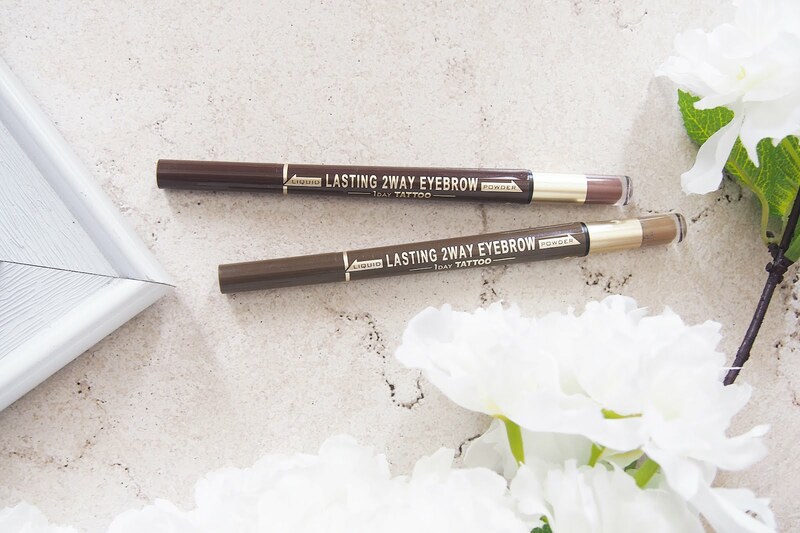 At first, it was difficult for me to line my brows using the liquid brush tip as I was used to lining my brows with a pencil liner. 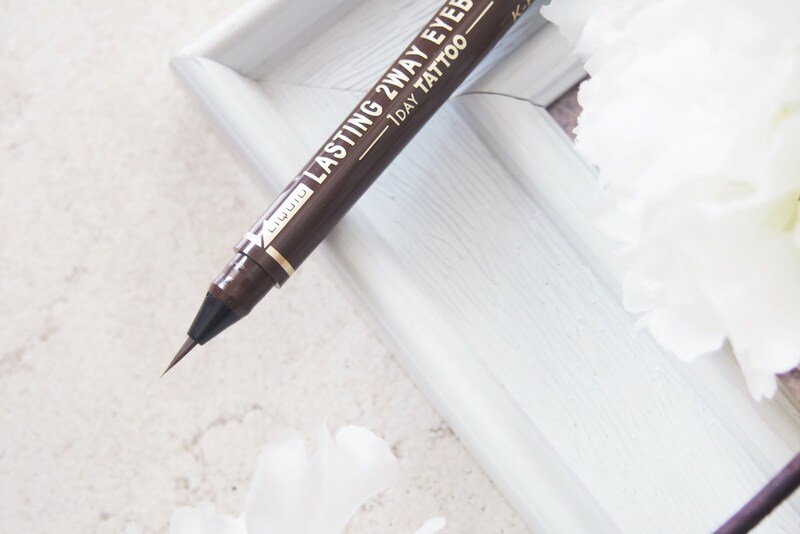 The brush tip requires precision and steady arms. Finally got it after a few strokes. 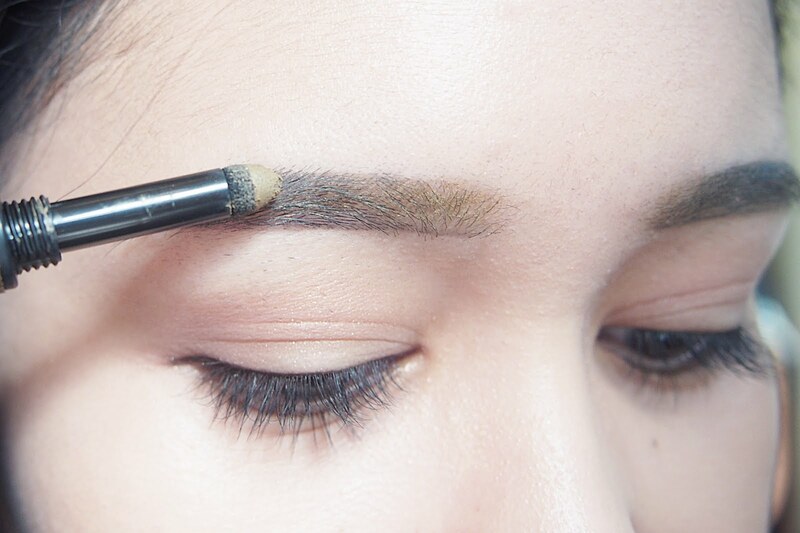 A powdered sponge tip can be found at the bottom of the liner to help give more depth in shading the eyebrows. Just between you and me... I use the sponge tip to contour my nose too sometimes, it's shape just makes it easy to line the brows and nose too. Did a swatch on my hand. Fat stroke is the powder and the thin stroke is the liner. I think the light brown looks actually darker than the natural brown. Or more like the light brown seems to have a green tone while the natural brown had a reddish tone. Also, the powder seems to have less staying power than the liquid. When I smudge them in my hands the powder tends to disappear on application but if I leave the powder to dry it stays longer on the skin. 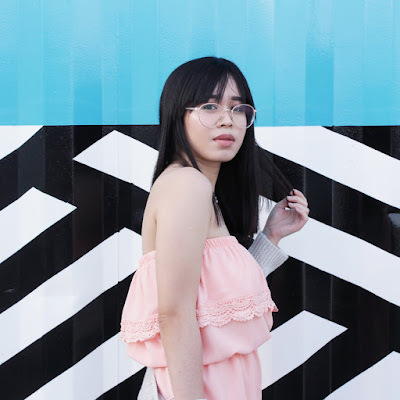 Overall. 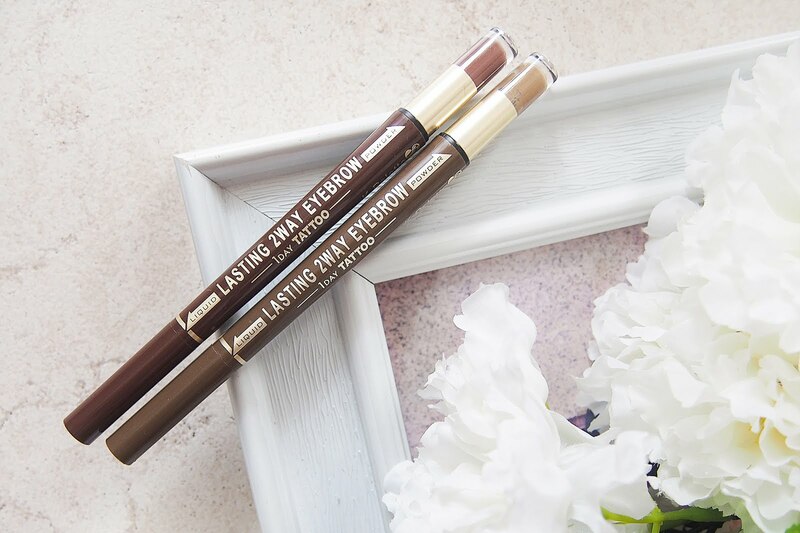 I am fond of KPalette's Lasting 2Way Eyebrow both the powder and the liquid. 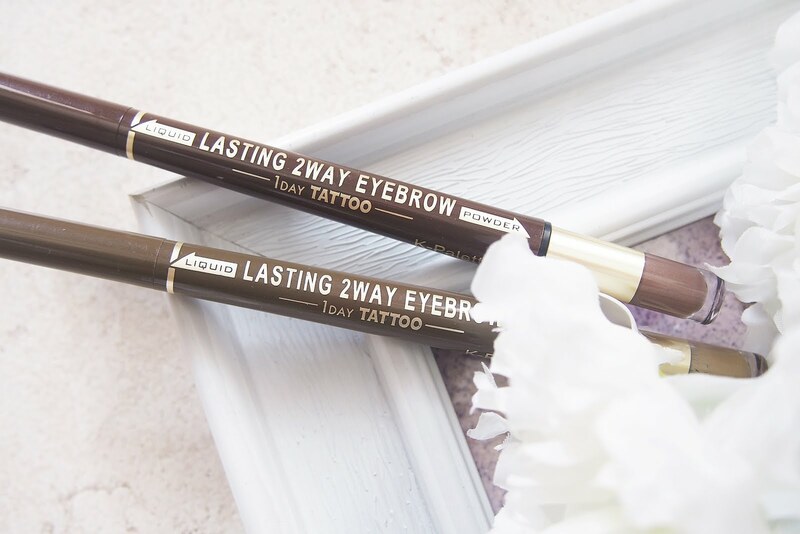 I like how it helps me have a more natural looking brows compared to how I line my brows with a pencil liner. It lasts all day for me too. I've used this for about 4-5 times per week and I was able to use it for more than a month, that's a win. The downside is it takes a while to master and it requires a few strokes back and forth to tint which takes time. 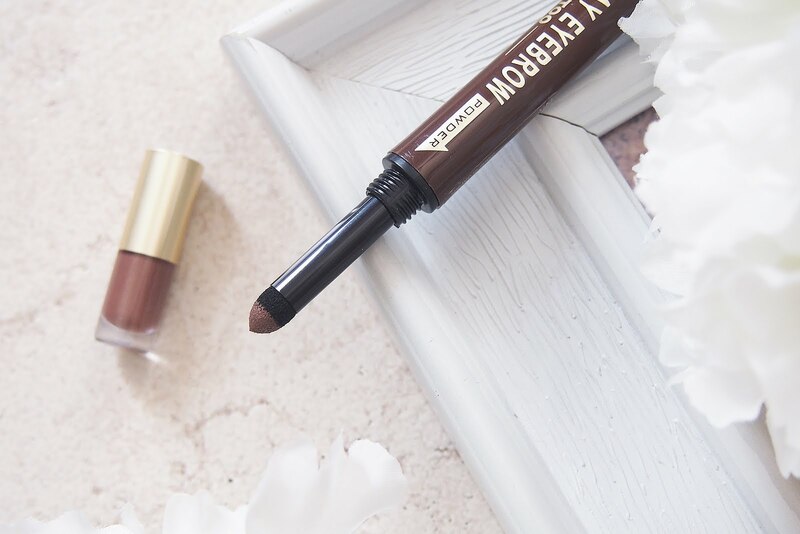 Tip: Store it lengthwise with the powder on top and liquid top facing bottom so it doesn't dry as quick. There is a pencil version of this one I believe. Which I think is a bit cheaper than the liquid. I am planning to get try those after these run out. Also, I think Kpalette came out with a 3-way pencil version with pencil, powder & spoolie in one. Tempting! KPalette products are available on Beauty Bar, Zalora and select Watsons store. Follow Kpalette on Facebook & Instagram.